South Florida Cosmetic Dentistry is announcing the launch of its patient testimonial video gallery on its South Florida Dentist website, in addition to its smile gallery. During its patient gratitude party, South Florida Cosmetic Dentistry’s top cosmetic dentist patients shared their dental experience with the world. Miami Cosmetic Dentist patient, Mary, a former hygienist, says that she always looks at smiles and feels that smiles “bring out the beauty in people.” She concluded her testimonial by saying: “I actually thought coming here was very relaxing… They make you feel at home and comfortable,” she said. A Fort Lauderdale Cosmetic Dentist patient, Andrew, who is a business executive, explained that he interviewed many dentists, but their proposals were, in his words, “ridiculous… [and] outrageous.” After interviewing some South Florida Cosmetic Dentistry patients, he was “very pleased with what [he] saw…” Andrew echoed the doctors advice: “The concept he was trying to tell me was, whereas I was interested in being well, what was happening was an improvement in my well being,” he said. 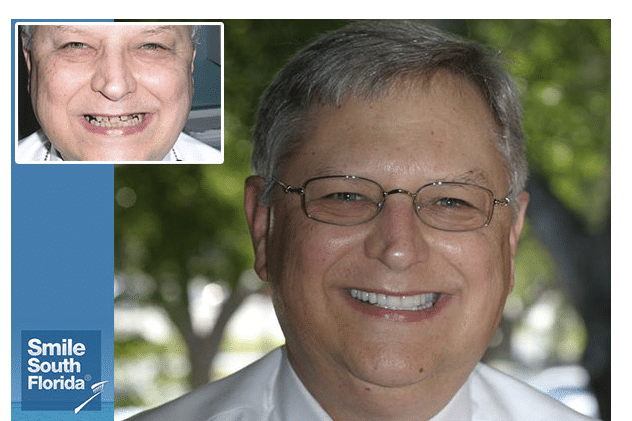 The cosmetic dentists at South Florida Cosmetic Dentistry have offices in Broward County and West Palm Beach and provide patients Boca Raton Dentistry, Fort Lauderdale Dentistry and Miami Dentistry. The dentists specialize in dental aesthetics including porcelain veneers, dental implants, extreme makeovers Invisalign, and sedation dentistry.